Performing under pressure. Competing against the clock. They are familiar states of mind for a cyclist but they are also handy skills in the kitchen, and they are both environments Nick Kergozou excels in. 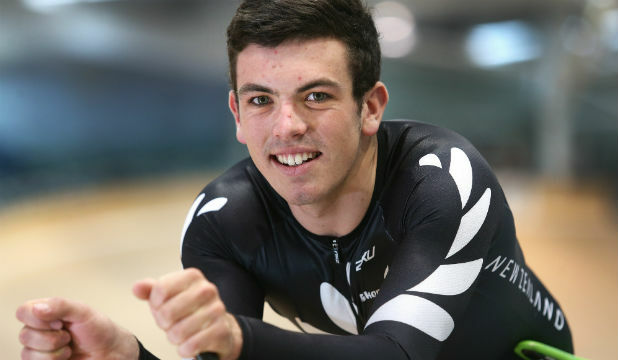 The Southland Boys' High School year 13 prefect is part of the 14-strong BikeNZ team for the junior world track championships in Korea next month but he's also had plenty of success in competitive cooking, including silver medals at two international competitions. "I've done two competitions representing New Zealand. One was in Canberra and, last year, I went to Japan - both times we got silver." Under the guidance of Scott Richardson at Boys' High, Kergozou has developed a passion for cooking. "This year I've kind of put it aside because of worlds but it's definitely something that I want to bring back in later. It could be pretty cool - you could turn it into being the chef for a pro [cycling] team. I reckon that would be something pretty cool to go for," Kergozou said. "It's really fun plating up, trying to make things look appetising. Scott has got a really good eye for that detail and he's taught us skills to do that." It's no surprise the 18-year-old can knock out an excellent pasta - creamy bacon and mushroom is the current speciality - something that goes down well after a winter training ride, and that he's a keen study of television shows such as Masterchef and My Kitchen Rules. For now, though, it's cycling that has Kergozou's full attention. Preparation for the junior championships in Korea has gone well, with Kergozou enjoying the benefits of gym training for the first time in his career. That extra strength has meant Kergozou has been able to further develop the kick that has always been part of his armoury. The trick has been to learn the best time to use the afterburners. The national under-19 omnium champion is hoping to ride the same event in Korea. It's a six-event competition that rewards the most consistent rider over a series of bunch and timed races. For Kergozou, that means trying to sustain his power over all four laps of a 1000m time trial, or knowing which sprint to target in the points race. BikeNZ junior coach Ross Machejefski said Kergozou was an explosive rider. "He's got to temper at times. We've had trouble with him in the [individual pursuit] stuff going out too hard. When he gets it right he goes really well." Machejefski said Kergozou was set for a role in New Zealand's team pursuit squad, along with the 1000m time trial, scratch race or omnium. "He's got such a fast finish. He's confident in his speed and his ability. When he gets it right he's pretty dangerous. There won't be too many guys at the end of a scratch race who would get near him in a bunch kick. A year ago we were trying to push him down the sprinting line, he was that quick." Kergozou's training has taken precedence over another of his interests, a part-time job working on a dairy farm at Wallacetown. "Tim Harris at Midnight Farms has been a big help. He let me work the hours I wanted to and worked it in with racing. He's been a really big help with my sport," Kergozou said. "I help out with the fencing and any jobs that need to be done. I enjoy it; there's always something different happening on the farm." Kergozou will be joined by fellow Southlanders Michael Culling and Laura Heywood in the New Zealand team.